Rancho Diablo #1 is Now Available! In 1933, Erle Stanley Gardner launched the Perry Mason series with the novel THE CASE OF THE VELVET CLAWS, and he was also still a prolific and highly successful pulp author at the time. A year later, under the pseudonym Carleton Kendrake, he published THE CLEW OF THE FORGOTTEN MURDER, which may have been intended as the start of another series featuring freelance criminologist Sidney Griff. Instead, this novel was Griff’s only appearance, probably because Gardner was busy with the Mason novels, his pulp work, and then a few years later the great Donald Lam/Bertha Cool series under the name A.A. Fair. 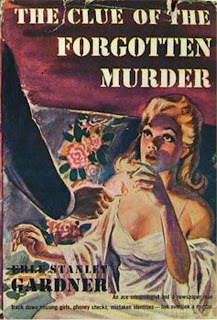 But THE CLUE OF THE FORGOTTEN MURDER, as it was retitled when it was reprinted under Gardner’s name, is a good book on its own. When this novel starts out, it’s hard to know who the detective is going to be. A young police reporter named Charles Morden uncovers a potential scandal involving a banker and businessman from a neighboring city. Morden sets out to investigate, but murder soon crops up, and it looks like Dan Bleeker, the very Perry Mason-like publisher of the newspaper, is going to take over as the detective. But there are more murders, and about a fourth of the way into the book, criminologist Sidney Griff comes onto the scene and dominates the action from then on. Griff, too, is reminiscent of Mason in that he figures out pretty quickly what’s going on and manipulates people and events to uncover the truth and get the results he wants. 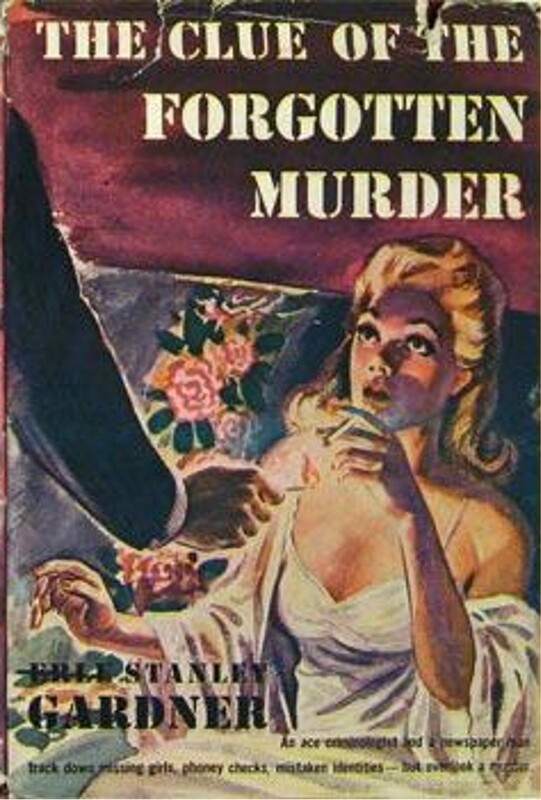 As is common with these early Erle Stanley Gardner novels, the plot is ridiculously complicated, with all sorts of double identities, impersonations, blackmail, past crimes, phony alibis, gangsters, poisonings, and more. I won’t even attempt to get into the details. Eventually Sidney Griff sorts it all out into at least a semblance of coherence, but I’m still not sure how he figured out everything. I will say, however, that I spotted the vital clue as soon as it was introduced. Crime sifted into police headquarters and then seeped down into the press room in the basement with the unfailing regularity of dirty water draining through the waste pipe of a bathtub. 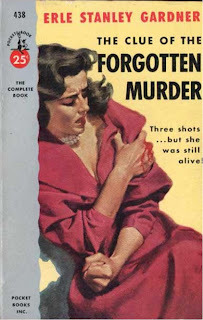 I couldn’t find a scan of the original edition, but like most Gardner novels, there were numerous paperback reprints which can still be picked up fairly inexpensively. I admire Erle Stanley Gardner's versatility and productivity. He's an underrated writer. I lived in a house with few books but ESG was one writer on my mother's shelves. Sounds like one I'd like. My favorite Perry Mason novel is the first - where Perry is one hardboiled dude. It's fascinating that the first cover here is a redrawing of the third cover, which looks like an earlier version. The third cover also kind of looks like Harlequin from the fifties. You're certainly right about Gardner's early novels being only ridiculously complicated. Gardner was obviously trying out a lot of characters at first,probably to see which ones would stick. His publisher, Morrow was happy for him to writer 3 or 4 novels a years but even so must have known that the market could absorb that many Perry Mason stories. I love Gardner's Mason novels, don't much like the Lam/Cool books, not even sure why, but this is one I know I'd really enjoy. I agree with Evan on the first one, but I'm reading through the whole series, or those I have, which is about 2/3 of them, and am enjoying them as I go, and it's interesting to see the changes as the series matures. I didn't notice the similarity between those two covers until Brian pointed it out. The older cover (the one lower in the post) is the dust jacket from a 1942 hardcover reprint by Sun Dial Press. The edition I read was also a hardcover reprint, this one published in 1944 by Blakiston/Triangle. 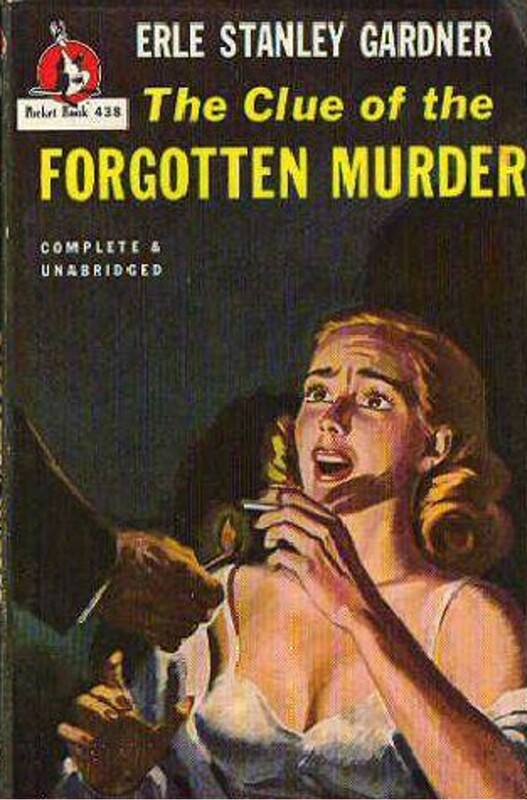 I agree with Mr. Reasoner: The Clue of the Forgotten Murder is a terrific book, if incredibly complicated in its plotting. (How Erle Stanley Gardner ever mapped out his early, intricate plots--and then produced so many of them--is beyond me.) I'm sorry that this novel marks the only appearance of criminologist Sidney Griff; he was a quirky yet enjoyable figure. However, if giving up Griff in order to find time to write the Lam and Cool series is what Gardner had to do, then he definitely made the right call.